The Honey Diaries is our ongoing blog about the trials and tribulations as beekeeping hobbyists. 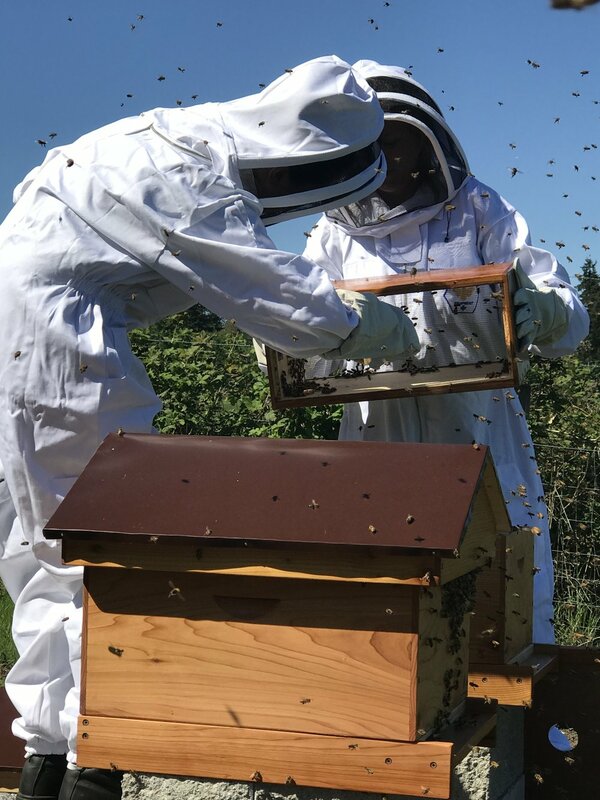 We are from Vancouver Island, Canada and have decided to venture into the world of backyard beekeeping. We plan share all the ups - and possibly downs - with you. Helping the environment and having fresh honey for our morning toast - two of the reasons we decided to venture into the world of honeybees. We currently house two hives on five acres of land. The goal of our blog is to make backyard beekeeping accessible to all while still holding up the integrity of the beekeeping community. Let's help make this world a little bit better, one bee at at time. We want to spread the word about the welfare of bees while we share how easy (or not so easy) it is to keep bees in your backyard. Follow our journey by following us on social media and joining our email list.